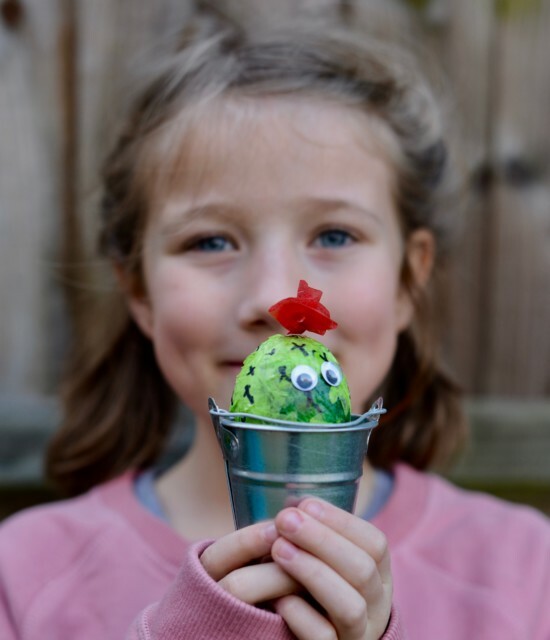 Easter seems to come around faster each year which means it’s time to make decorated eggs! I am usually very last minute with our eggs, but this year we are actually organised for once. 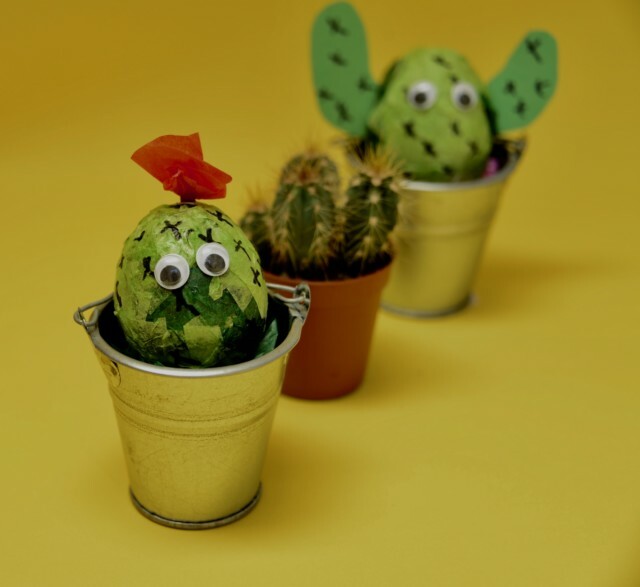 In the past we’ve made emoji eggs, Minion eggs, Star Wars eggs and numerous rabbits, but this year Hannah wanted to try something a bit different so here are our cactus eggs! These were easy enough for Hannah to make alone ( she’s 8 ) and didn’t take long at all. One egg shell – I used a knife to crack the top of the egg and let the insides drip out. We then rinsed the egg and left to dry. 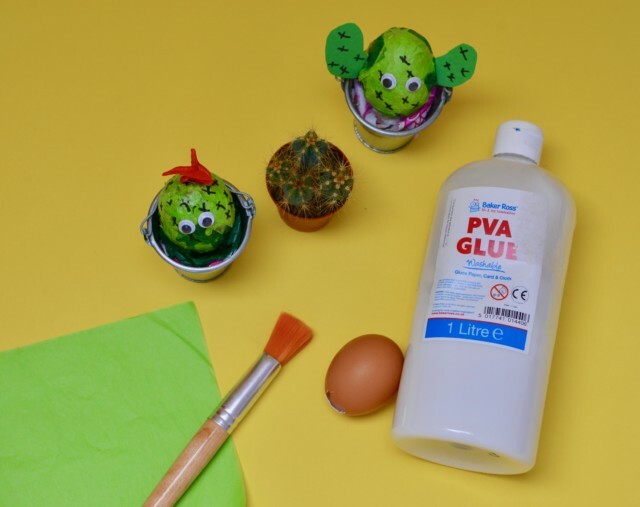 first we completed covered the egg with the small pieces of green tissue paper and PVA glue. You might find it take a couple of layers, but once dry the tissue paper will set hard. 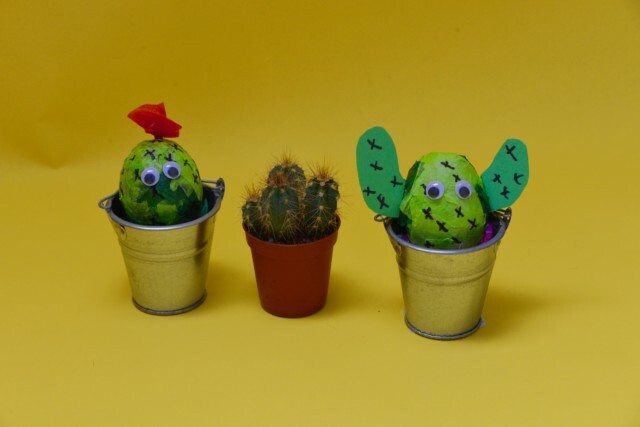 Use the black pen to draw tiny crosses to represent the spikes of the cactus. Stick the google eyes in place. If you want to create “arms” cut out the shape from green card and use a little double sided tape to stick in place! What do you think? Hannah is super pleased and can’t wait to take these into school! Aww these are so cute! I used to love decorating eggs when I was little 🙂 I always joined in the Easter egg decorating competition at school.